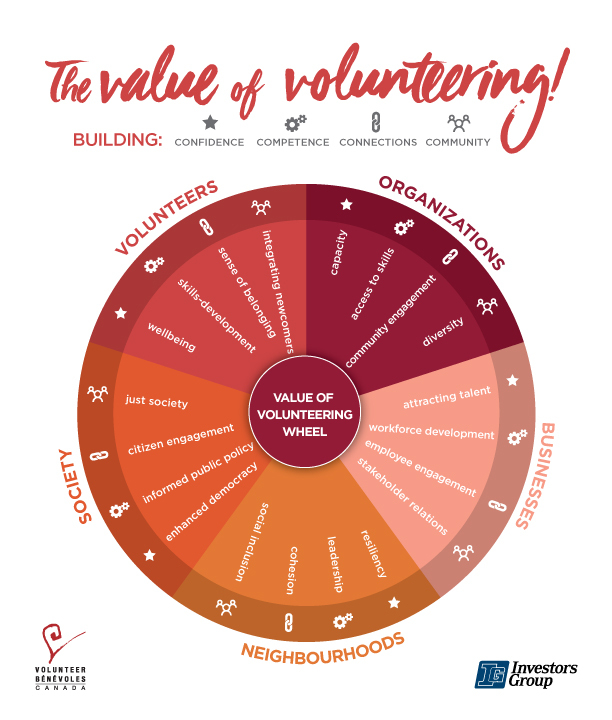 The Value of Volunteering Wheel illustrates the many benefits of volunteering to building confidence, competence, connections, and community. It also serves as a portal to research that examines the social and economic value to organizations, neighbourhoods, businesses, society-at-large and to volunteers themselves. By clicking on the different sections within the document or scrolling down, you can explore this field from many angles. Please share any additional studies with us so that we can keep the wheels turning!